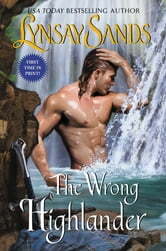 What can I say, from start to finish, The Wrong Highlander is so hard to put down. The story of Conrad and Evina is so good, the whole family is involved in the story and I can’t wait for the next book in the series!! 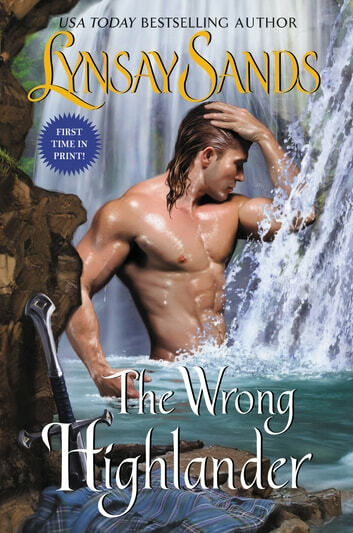 Readers can’t go wrong with this deliciously rich and captivating historical romance where a Lady goes in search of a healer and kidnaps the wrong Highlander. Evina and Conran are strong, vivid characters that easily ensnare readers with their story which is sweet, compelling and full of delight. The romance between Evina and Conran is a slow burn despite the sizzling chemistry between them as Evina may be a Lady but she’s spirited and she has no problem with speaking her mind or doing things her way, which not only keeps things spicy between her and Conran but adds spicy and lively dialogue and confrontations between the two and readers can’t help but smile and chuckle. The relationship is further complicated by a bit of miscommunication, a bit of manipulations and a heroine dead set against marrying, so readers get a lovely blend of first time romance and an energetic courtship. The smooth flowing plot is fast paced and full of suspense as someone takes exception to Evina having any kind of relationship with Conran and has danger lurking throughout the castle. While the situation is quite serious and properly depicted, it also has a bit of fun to it as well due to the interactions of all the characters involved with is quite a few considering Conran’s family has descended on the castle in search of answers regarding Conran’s kidnapping. The story is completely enthralling and once begun, it is hard to put it down because readers want to know what will happen next.